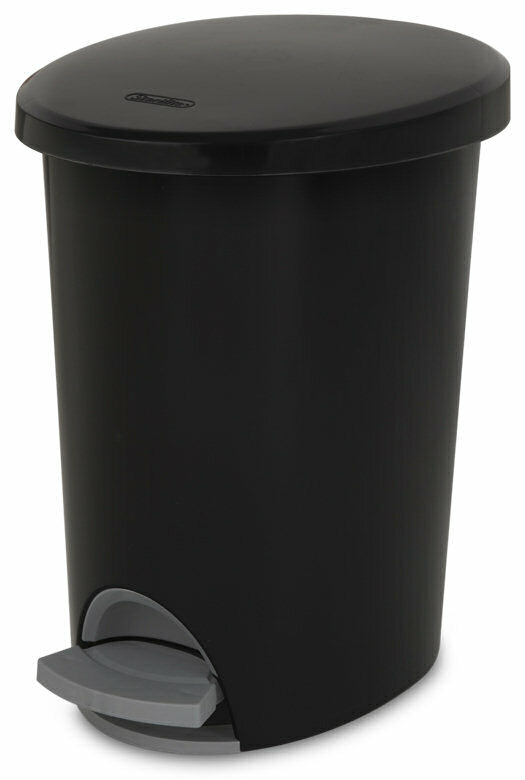 2.6 Gallon Ultra StepOn Wastebasket is rated 3.9 out of 5 by 7. Rated 5 out of 5 by ConcreteCowboy from Perfect size & function for Bathroom but lid function needs more durability We really like the size and the function of just being able to step on the pedal to lift the lid. However, the lid sometimes pops off track if you push a little too hard. It just needs to have some rework done on the actual components of the lid to the pedal so that this won't happen. Other than that, it works & fits great & completely serves it's purpose. We have another one that's stainless steel & is battery operated when waving hand over it but, with the multiple "D" size batteries, it's pretty heavy for a small can & the batteries don't last too long. 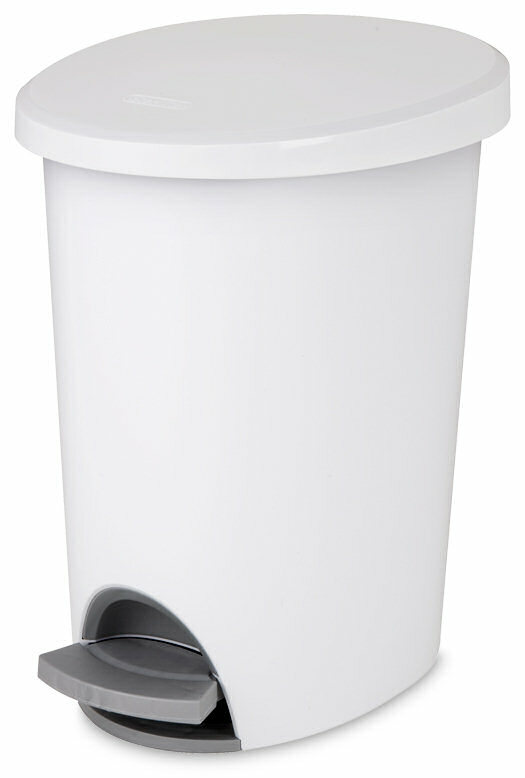 Rated 5 out of 5 by jpalmytake from durable simple design This wastebasket is the perfect size for a bathroom. Its long lasting, durable, easy to clean. Rated 4 out of 5 by Tealindy from Convenient to use Very handy in the kitchen when both hands are full or dirty, just step on and lid pops up so you can dump in trash. Great for smaller space, inner can is removable for easy cleaning. Rated 1 out of 5 by Jenns from Breaks! This is the second garbage bin I have purchased of this brand and this has also broke. The cover doesn't hold up to simple usage..so disappointed as I really liked the look of it however not worth the money as they continue to break. Rated 2 out of 5 by gjm from Appearance and size were my reason for purchase This product is to light for a step on. I had to add weights to keep it from tipping and stick on nobs to keep it from slipping and sliding. Grime builds up on the base. The stick on nobs I used have eliminated this. Rated 5 out of 5 by Anna Marie from Great for pet owners! This is the perfect container for cat owners! I bought this specifically for collecting the used kitty litter; it has a lid to help contain the odors! I love that it uses the plastic shopping/grocery bags as liners; easy to gather up the handles, tie it up and off you go! Makes a huge difference in the area that I have our cat boxes! It was the best affordable solution to our cat box dilemma! This also is perfect in a small bathroom! Rated 5 out of 5 by MicConsumer from Great Bag holder, Perfect Size! This is a great wastebasket! The perfect size for a bedroom or bathroom and it has a easy and useful bag holding system that works perfectly with t-shirt/ shopping bags. I'm so thrilled to finally have a hands free wastebasket that actually works and I can tell it will stand the test of time in terms of durability and design.